Buying a franchise can be risky. If you choose the wrong franchise you could end up going out of business. In that case, you’d lose your up-front investment. And, if you used a portion of your 401(k) to fund your franchise-and your franchise business went under, you’d end up having a lot less to retire on. Ouch. I’d like to show you how to avoid that. One more thing that could happen if you choose the wrong franchise is this: Your credit rating could take a hit if you ended up having to close your franchise business up, because you’d still owe money to your vendors…and maybe even a landlord. The nightmarish scenarios I described above can be easily avoided if you know what to watch out for when you’re investigating franchises. But, if you’ve never looked into franchise ownership, (beyond web-surfing and brochure-gathering) it’s going to be hard for you to know if you’re on the right path or not. The wrong path? Just move your eyes up the page to see where that can lead. 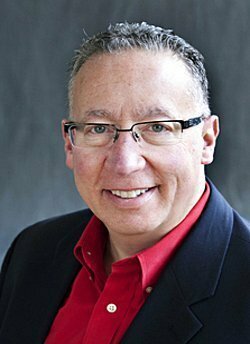 I’ve helped thousands of would-be franchise owners-just like you, protect themselves with the risk-lowering techniques that I’m about to share. I promise that you’re going to feel a lot better…and a lot more confident about your decision to become the owner of a franchise business, by the time you finish this article. But, before you start learning how to lower your risk, I want to make sure that you’re in the best possible position, mentally, to take this all in. The way to do that-to really get a leg up in the franchise buying process, is to make a commitment to not allow yourself to get sucked into franchise industry hype. There’s a lot of it. Some of the hype comes from franchise marketing departments. Some of it comes from franchise industry associations. The hype I’m referring to may involve subtle-or not so subtle suggestions that becoming the owner of a franchise business is going to be relatively easy, because everything is all set up for you. Words like, “Turnkey” and “Businesses in a Box” are used to make the idea of owning a franchise super-attractive. Franchise ownership can be a great way to get in business…for some. Becoming the owner of a franchise can release the shackles of corporate employment. It can lead to the creation of wealth. It can provide equity. 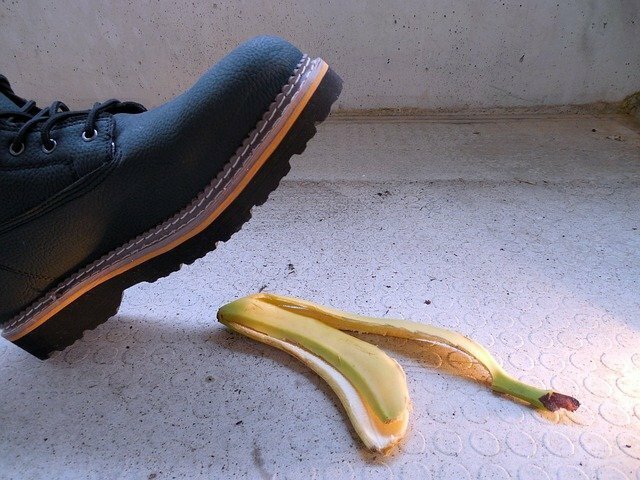 Before you dive into the top 10 ways to lower your risk, I want you to read about the real success and failure rates in franchising today. It’s really important for you to read it, as it will dispel some of the myths that have been bandied around for years. Then, come right back here so you can start digging in…and learning. Actually, I’m Joel. But, I’m very frank about this topic. And, believe it or not, I’m not slamming my industry…not at all. I just happen to be a realist when it comes to buying a franchise. And, I’m focused on making sure that my clients and my readers are being realistic too. That’s why some of the most influential people in business call on me for my insights into the world of franchising. They know me and they trust me. And, they know that I won’t ever let them down when they refer their friends, colleagues, business blog readers and even their clients to me for franchise advice. I’m not going to let you down, either. That’s why I put together the list below. And, if you’re not ready to purchase a franchise just yet, that’s fine. But, you may know someone that’s been thinking about doing so. If that’s the case, please share this blog post with them. Thank you! Don’t begin your search for a franchise to buy where everyone else does. These days, most of the people I talk with spend hours on end visiting the various franchise opportunity websites. They click and click…and click…. Until a mild form of Carpal Tunnel Syndrome sets in. Don’t do it. Yet. Make sure that you’re the right candidate for franchise ownership by first taking this free quiz. Instead of starting your search for a franchise to buy online, start it on the inside. I want you to stay away from all of your electronic devices for a couple of days. Unplug. Go for some walks. Find a body of water to sit by. Take a ride in the country. Go to that place…wherever it is, that has helped you slow down in the past. Do this by yourself…no passengers allowed. You cannot allow yourself to get distracted by anything…or anyone. This moment in time is all about you. It’s not about your family. Yet. And, figure out why you want to be an owner. Is it for the money? The prestige? If you have kids, are you doing it for them-so they can get involved in it, and eventually take it over? Or, are you doing it because you’re sick of working long hours for others? Figure out the why’s. Then, figure out what you want this business to do for you. One of the best ways to lower your risk when buying a franchise is to focus on what you’re good at and also what your personal traits…your unique characteristics are. And, you need to take your time and really think things through. Then, you need to write down what you’ve come up with in list form. List #1– write down all of your top skills. What are you best at? Are you a strong salesperson? Are you a skilled negotiator? Are you a fantastic manager of people or data? Don’t hold back…you’re not being a braggart, you’re just putting pen to paper so you can see what you’re bringing to the table. The Franchise Table. List #2– write down your personal traits. Are you shy, or are you outgoing? Are you socially conscious? Are you a leader? Are you competitive? Once you’ve finished, take a look at your two lists. 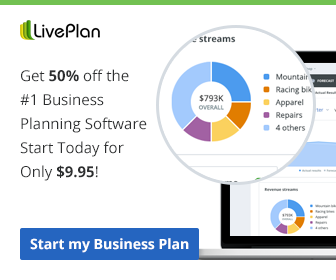 You now have a personalized blueprint that you can use to help you figure out what types of franchise opportunities you should start looking into. The trick is to only look at franchises that will allow you to use your top skills and that also match up to your personal traits. For example, you may not want to look at a sales training franchise if you’re not sales-oriented and outgoing. And, speaking of sales, you need to read about franchise opportunities that need franchisees with strong sales skills. Matching a franchise up to what you’re really good at along with what your traits and characteristics are will go a long way in helping you lower your financial risk. 4. How much money do you have? If you don’t know where you are, it’s going to be hard to figure out where you can go. In other words, it would be a total waste of time to search for the best franchises around if you don’t know what you can afford. You need to avoid situations in which you find yourself getting super-excited when you think that you’ve found The One, only to find out that it’s way out of reach, financially. Figure out your investment budget, first. In order to do that, you’ll need to come up with your net worth. After that, all you have to do is one simple calculation. 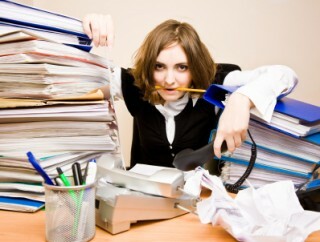 Just go to Caron Beesley’s SBA.gov blog post to learn how to do both things. Because if you don’t know how to figure out what you can afford, you’ll be setting yourself up for possible financial loss. As much as it pains me to get out of my comfort zone here, (in which I’m not very politically correct) I’ve chosen to use the word, “Partner” in this section of the bog post. *** If you’re single–or unattached, you can skip this section. In short, involve the one you’re with. It’s simple. This is a big decision. Big. Just so you know, my clients have included high-powered CEO’s-ex-CEO’s, actually, who have told me in no uncertain terms that, “I don’t need to talk to my wife, (or husband-or partner) about buying a franchise. I make the financial decisions in my house.” Etc. Etc. Until it comes time to write The Check. Then, guess who appears out of nowhere? Your spouse or partner. That’s who. It’s like Scotty from Star Trek beamed your spouse or partner down-from some distant galaxy, and all of a sudden they want to know everything about the franchise. Ladies and gentlemen: If you’re worried about bringing up this idea of yours with your spouse, partner…whomever, you’ve got bigger problems than just choosing the right franchise to buy, and figuring out your budget. Maybe you should consider paying for some sales training. Because, if you can’t get “the one you’re with” on board with this venture of yours, it’s going to be that much harder to become a successful franchise owner. The pressure that’s going to be on you when you first open your doors is going to be tremendous. And, I’m only referring to the pressure that you’ll be putting on yourself to make things happen in your new business. Now, add the pressure of an unsupportive spouse or partner to the mix. No…scratch that. You don’t want to add someone that’s not all in with you to the equation. Because if you start a franchise business with that monkey on your back, you’ve just succeeded in increasing your risk of failure. Even if you feel that you’ve found The One…the perfect franchise for you, keep looking around. Because, it’s nice to have choices. Let’s say that you’ve followed my lead so far. You’ve spent some quality time getting to know yourself. You’ve taken the free franchise quiz. (And have received your score. ) You’ve done your net worth statement… and you’ve done your budget. The franchise business opportunity that you’ve found aligns nicely with your core competencies. You’ve even gone so far as to get a buy-in from your spouse-partner-whatever on your idea of becoming a franchise owner. Awesome! But, I still want you to keep looking around. Now’s the time to hit a few franchise websites. Have some fun. Discover! Make it your goal to find two or three franchise concepts that are perfect, (or as close to perfect as possible) to what you’d like to have in a franchise business of your own. That way you can do some comparisons. Once you’ve found a few opportunities that are a match, make a commitment to learn how to research a franchise. It’s not difficult. You just have to do things one step at a time. And, a significant part of franchise research involves posing the right questions. My eBook (click the image above) provides the top questions to ask…50 of them, including how to ask them. But, the questions that I’ve included in my book can’t and won’t be answered by everyone you pose them to. For example, did you know that there are several questions that I’ve included in the eBook that won’t be answered by the franchise development managers…the franchise salespeople? Like some of the ones about money. 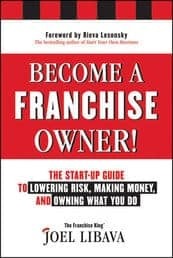 The questions that are designed to find out how much you’ll make as an owner are the toughest ones to get answers for…unless you know my, “How much can I make as a franchise owner” questioning technique. 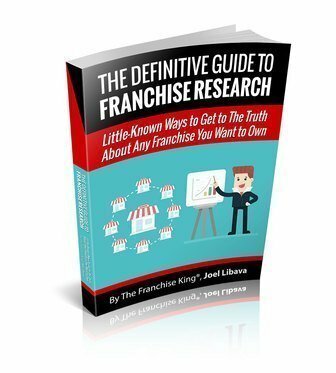 If you’ve never done research on a franchise business…real research, you need to learn how. That’s because great franchise research can seriously lower your financial risk. Don’t buy a franchise without getting expert assistance and guidance. This is the time to invest a little bit of money in your future. Hire a franchise attorney. One who’s familiar with franchise contracts and who keeps up with current franchise legalese. Actually, scratch that; it’s not time yet. Not for an attorney, anyway. Almost. But, you’re going to need to look for one as you get closer to decision day. 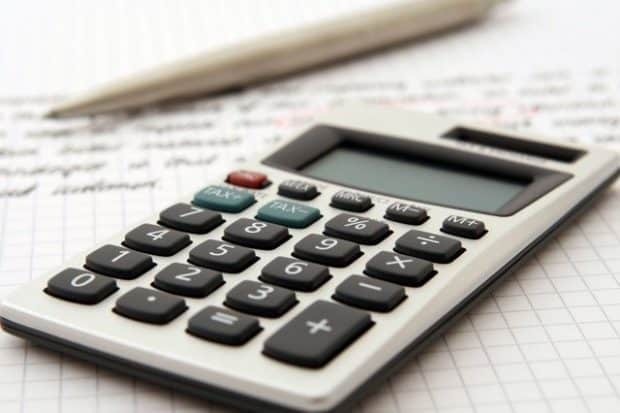 You’re going to want an attorney to go through the Franchise Disclosure Document with you before you sign the franchise agreement and before you write The Check. You should also find an accountant who’s familiar with small business start-ups, and taxation. You’re going to need to craft a powerful business plan, so you can apply for a small business loan with confidence. This is also the time to start thinking about how you want to set-up your business-if you decide to move forward. My friend Nellie owns a company that can do this for you, and it’s very affordable. She can help you Incorporate or Form an LLC in minutes. Sometimes forming a corporation or an LLC can lower your risk. You may run into franchise brokers and franchise consultants during your search for that perfect franchise to buy. Sometimes they’re considered experts, too. 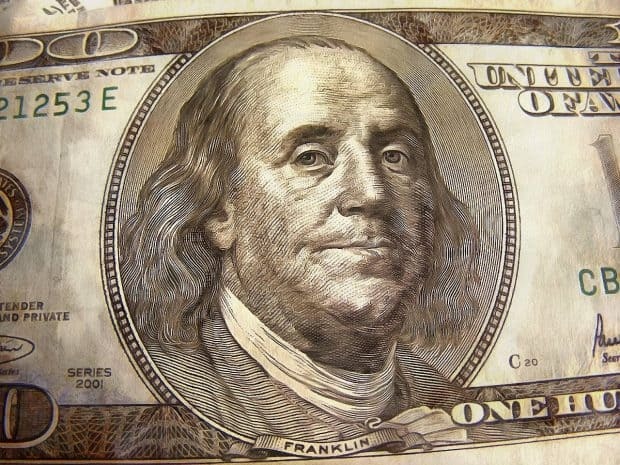 Franchise brokers-they’re sometimes called consultants, don’t charge for their services. That’s because they’re paid by the franchisors that they’re contracted with. They’re generally not going to want to help you with a franchise opportunity that you’ve located on your own because they’re not getting paid a commission on them. It’s not that franchise brokers are mean-spirited and don’t want to help you. (Although I happen to know a few who kind of are mean-spirited.) It’s just that they can’t work with you, because their business model dictates that they only spend their time with people that will choose franchises that they themselves work with, so they can make a living. Of course, you can always choose to hire me, so you can make sure you have an impartial franchise professional at your side..
With so many things being done online these days, it may be tempting to meet the executives at franchise headquarters, virtually. I don’t recommend it. It’s not like you’re buying a new washing machine. The only way that you’re going to be able to get a real feel of things is by making an in-person visit. Also known as a Discovery Day, this is when you travel to franchise headquarters so you can meet the team in-person. Of course, any franchisor worth their salt is going to want to meet you in-person, too. Making an in-person visit will also enable you to see their operation in action. You’ll be able to find out if there’s real infrastructure in place that can support you as a franchisee. Plus, you’ll be able to get a feel of what their culture is like. You’ll be able to observe the interactions between staff and upper management. You’ll really be able to sleep better at night knowing that you met in-person with the people that will be supporting you, as you experience the trials and tribulations that all small business owners experience. You need to feel that someone has your back, and the best way to do that is to meet everyone you can at headquarters, face to face. You’ll need to connect with your inner voice, when decision day approaches. While it’s wise to collect as much data as you can-so you can make a fact-based decision, you’re not going to find it as useful as you first thought. What you are going to find is that your yes or no decision is going to come down to feelings. It’s going to have to feel right. And, you’ll have to feel that you’re ready for this adventure. That’s because at the end of the day, when you’re faced with the prospect of signing a 30 page franchise agreement, you’re not going to be looking at your notes. You’ll be looking in the mirror. Joel this post is epic! Thanks for all the tips and your humor, is the best Frank (lol) 🙂 I love your tip about making it a MUST to get expert advice before purchasing a franchise. It is important to make sure that the expert is not attached to the franchise deal in anyway. It has to be someone like you that really knows their stuff and wants to help the franchise buyer. Great post Joel! How are things going on your Small Biz Diamonds site? It took my a while to come back to this post. Thankfully I have been extremely busy in a good way. I have to see this info is very useful. My brother works as an employee of a franchise I can wait the day for him to build his business. But at the moment this info should be very helpful for his current boss. Thanks for sharing such great knowledge! Welcome to The Franchise King website and blog. Appreciate the fact that you took the time to pop by. First time in my life that I read such a powerful blog about the franchise topic. It is a rich content hardly found in regular places about this issue. I will keep up my reading very open minded. Thank you Joel. Thanks a lot for that, Mario. Welcome to The Franchise Kingdom. When only one store has been opened in 10+ and it is a franchise store, is it realistic that the franchisor should share with franchisees the early results, which can aid the franchisees in determining how quickly to open multiple stores? 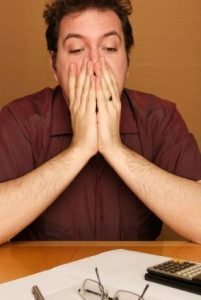 If the franchisor refuses to share actual data with newly signed up franchisees, is it mostly likely telling that the franchisor does not want the Z’s to slow down opening other stores or possibly share with potential Z’s calling that they are now second guessing things since they haven’t opened their own store yet and the corporate store data isn’t being released? Great blog. I was interested in the Action Coach franchise. The operative word is ‘was’. Thank you for the heads up! A coaching franchise may be right for you-I have no idea. Is it wiser to buy a franchise when you have not enough market experience? That depends on the franchise you’re interested in. Do you have skills that can transfer to the franchise you may want to buy?